Wind Surf is the flagship of the fleet. The five-masted motor-sail yacht accommodates 310 guests while it travels to the most exotic locales. 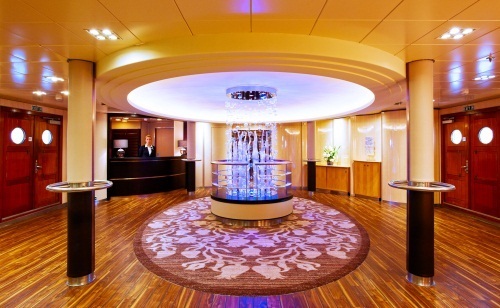 The luxurious reception area welcomes you with beautiful finishes and furnishings. The ship is known for a casually elegant environment that’s never regimented, with such highlights as an open-air water sports platform equipped with sailboards, snorkeling gear, water skis, sailboats and kayaks. 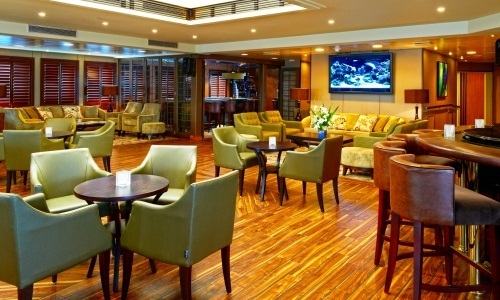 The Yacht Club is the ship’s “living room” decorated with intimate groupings of comfy couches and chairs, perfect for reading, catching up on news or enjoying good conversation. 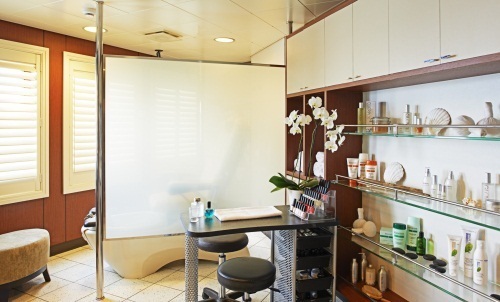 The ship is also equipped with a pool, two hot tubs, a fitness center, a salon and an art gallery. 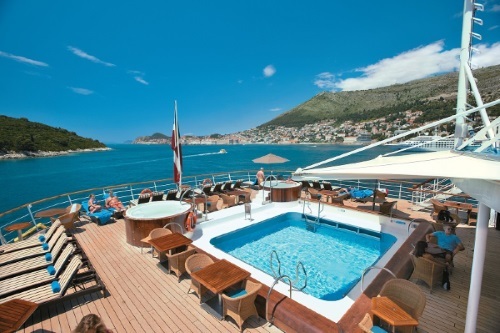 All four restaurants onboard are staffed by the best crew at sea and serve up excellent gourmet cuisine. Waiting for you in your stateroom will be Windstar’s signature bowls of flowers and fresh fruit, rich tufted headboards, soft colors, beautiful upholstery and fine count Egyptian cotton linens. 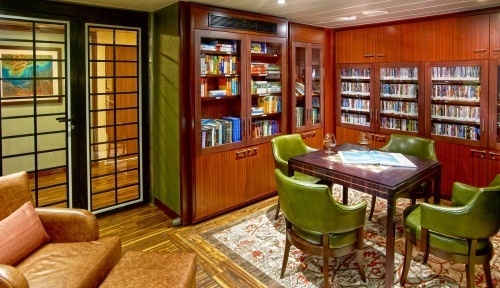 All staterooms feature ocean views and plenty of space.